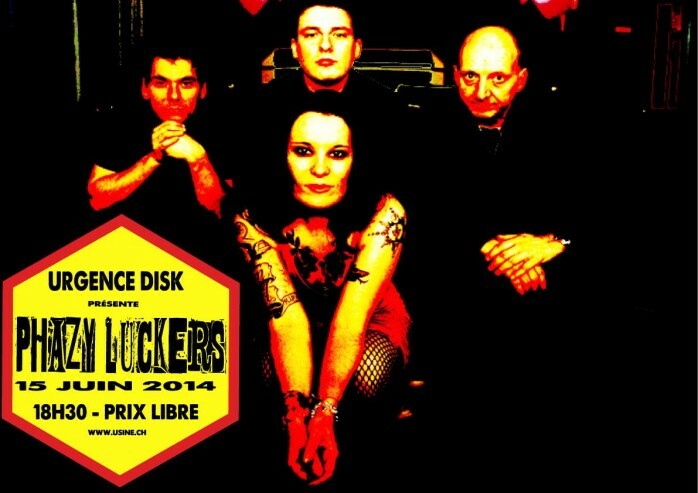 The PhazyLuckers are pleased to announce that they will be in concert at Urgence Disk Records, at the Usine, Genève on Sunday 15 June 2014, at 18h30. Yes, you read it correctly – at 18h30. It’s an early evening concert – ideal for those who like an early night on a Sunday – so come on down and enjoy! Don't miss out! Keep up to date with Phazy News, Gig dates and Releases.